Driving by the Salinas today we had a Spoonbill flying along side for a while. 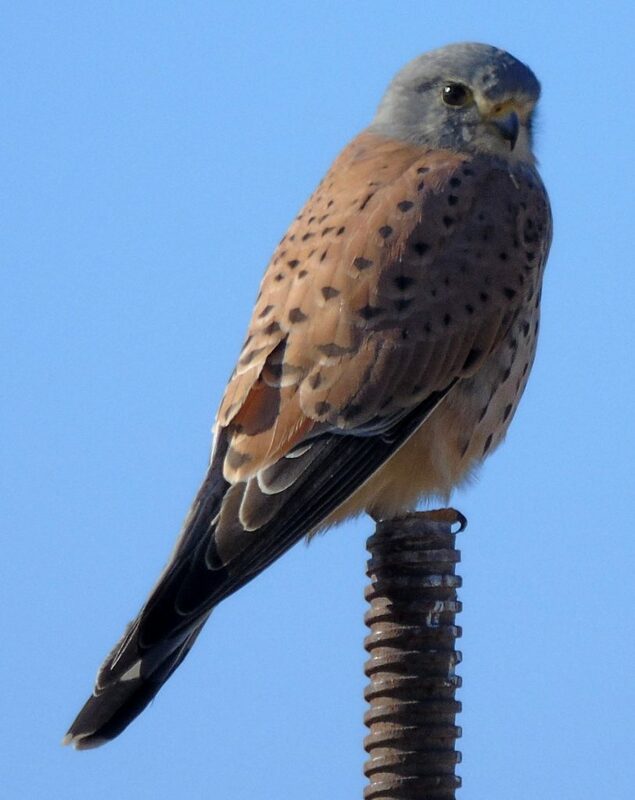 At the pallet road we had Little Owl, Black Redstart, Kestrel, Hoopoe, Robin, Crested Lark and Greenfinch. 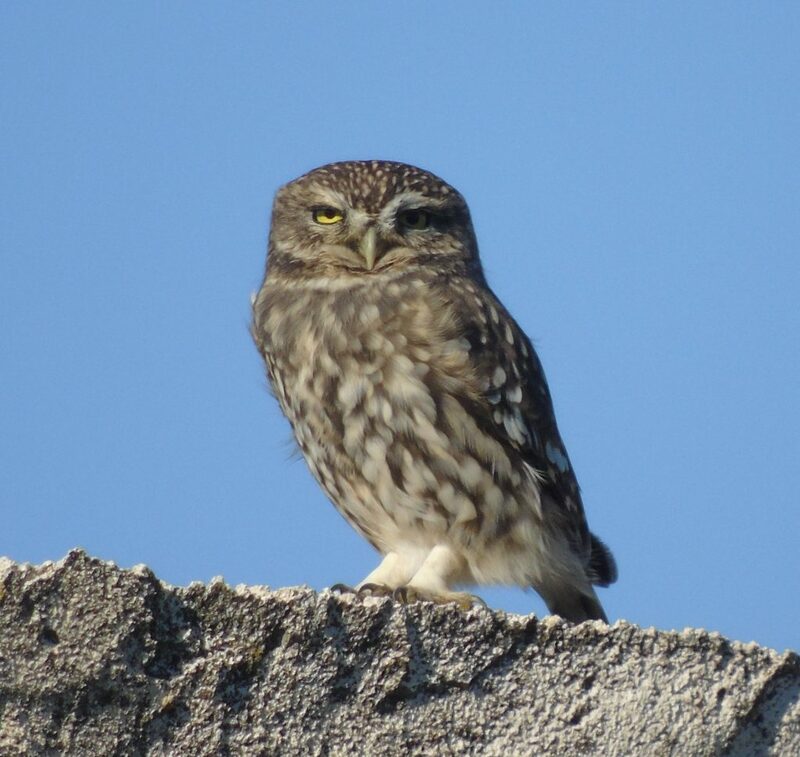 Next to the Monastery road another Little Owl, Spotless Starling, and a Blue Rock Thrush put on a brief show on the Monastery roof. Further down we saw two Green Woodpeckers on the palm trees to the right and Southern Grey Shrike on the trees to the left and also Stonechat. Moving On to the PFT there were plenty of Lapwing, Common Snipe and White Wagtail on a field with still some water in it. We then decided to take a look at Lo Chicharra. On the way several of the fields were flooded but they had nothing on them. At the pond we saw Bluethroat, Chiffchaff, Green Sandpiper, Grey Heron, and at one point there were eight raptors in the air, a mixture of Marsh Harrier and Booted Eagle.